ATLANTA, Jan. 24, 2019 /PRNewswire/ -- ExpressJet Airlines today announced John Varley has been named Senior Vice President - Chief Administrative Officer and General Counsel. In this new role, Varley will be responsible for Human Resources, Information Technology and Legal. Varley most recently served as Senior Vice President and General Counsel at California-based airline Virgin America. During his seven years there, the airline grew from a small startup to an award-winning and profitable public company. 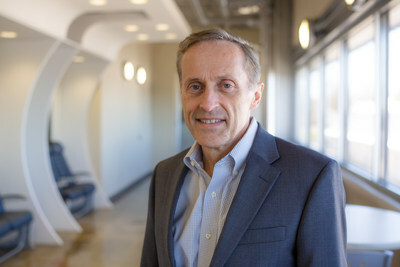 He was instrumental in establishing the airline's highly successful initial public offering and later negotiating its merger agreement with Alaska Airlines. "John is a highly-respected leader who has built high-performing, people-focused organizations," said ExpressJet President and CEO Subodh Karnik. "His expertise will ensure ExpressJet has the programs, systems and infrastructure to be successful as we grow the airline with 25 new Embraer E175s and hire more than 600 pilots in 2019." ExpressJet Airlines operates as United Express, on behalf of United Airlines (NASDAQ: UAL), to serve more than 100 airports across the United States, Canada and Mexico. The airline flies more than 3,300 weekly flights from bases in Chicago, Cleveland, Houston and Newark. ExpressJet pilots enjoy top-tier pay and work rules as well as a direct path to a career at United Airlines. ExpressJet is owned by ManaAir, LLC, a company in which United Airlines has a minority interest. For further information, contact 404-856-1199, [email protected].